Mississippi lawmakers are turning back an attempt to legalize growing industrial hemp in the state. 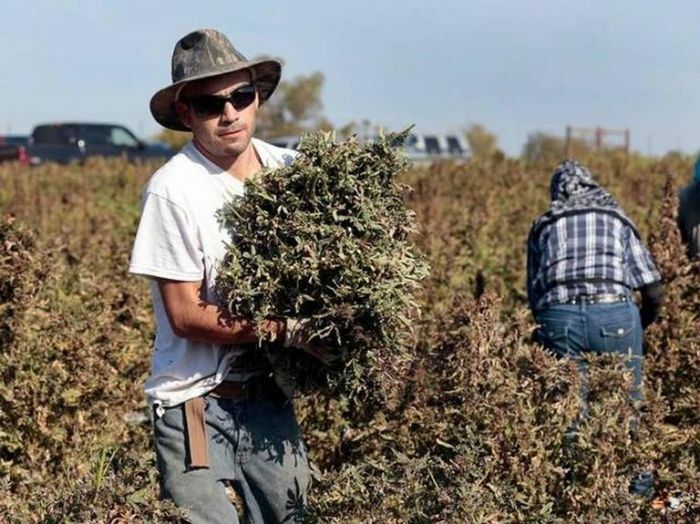 The House Drug Policy Committee, on a tie vote Monday, rejected an amendment that would have changed state law to allow farmers to grow hemp. Changes to the state list of illegal drugs were proposed as House Bill 1547 . The U.S. Congress last year approved allowing production of non-intoxicating hemp in heavily regulated pilot programs. Committee Chairwoman Patricia Willis, a Diamondhead Republican, opposes the change. She says Mississippi’s law shouldn’t change before federal changes take effect later this year. Republican Rep. Dana Criswell of Olive Branch, proposing the amendment, says Mississippi should move now or farmers will miss out. Two recent studies indicate that CBD could be a valuable tool for fighting the opioid epidemic. Federal health minister Jane Philpott has described the opioid epidemic as the “greatest public health crisis we face in Canada.” One new study suggests cannabis could be effective in treating opioid addiction through substitution therapy, while another recent study links CBD to the inhibition of opioid rewards in the brain. In 2016, a public health emergency was declared in British Columbia due to the alarming rate of drug overdose deaths stemming from widespread overuse of prescription opioid painkillers, and an influx of illicit narcotics laced with deadly fentanyl and carfentanil. Lawmakers in about two dozen states have proposed bills this year to ease their marijuana laws despite Attorney General Jeff Sessions' warning that he could crack down on pot, a major change from the Obama administration, which essentially turned a blind eye to the state legislation. Bills have been introduced in 17 states this year to make recreational pot legal for adults, while five others are considering voter referendums on the issue. Sixteen states have introduced medical marijuana legislation, 10 are considering decriminalizing the drug and three are considering easing their penalties. An effort in Wyoming to decriminalize the drug failed this session. California: Is UCD going to get into the marijuana research business? When Proposition 64 passed in California, legalizing recreational marijuana use, many people imagined that UC Davis might get into the pot business. With the No. 1 agricultural school in the nation, as well as a top plant biology program, UCD seems poised to become a cannabis research leader. Not so fast, says Chief Campus Counsel Jacob Appelsmith. “Under federal law, (marijuana) is a Schedule 1 drug,” Appelsmith said, as are heroin and LSD. Even as states are legalizing cannabis for both medical and recreational uses, the feds are not moving forward at the same pace. Though the US Drug Enforcement Agency hasn’t reclassified marijuana, easier availability of the drug for study has the potential to unearth new medical uses. Companies that make prescription painkillers and their allies have contributed more than $366,000 to Mississippi candidates and hired an average of 18 lobbyists yearly in the state since 2006 to push their policies. The spending comes as Mississippi's use of opioids reached the fifth-highest in the country last year. A joint investigation by The Associated Press and the Center for Public Integrity found the organizations spent $880 million nationwide and hired an annual average of 1,350 lobbyists in state capitals around the country from 2006 through 2015. By comparison, groups seeking limits on opioid prescribing spent about $4 million. More questions than answers from a new study out of The Netherlands. Recent studies suggest that there could be differences in brain thickness between children who are exposed to cannabis and those who aren’t — but do these studies tell the whole story? Across the pond, an hour south from Amsterdam, Dr. Hanan El Marroun, of Erasmus University Medical Center in The Netherlands has dedicated his work to researching one of the most overlooked aspects of cannabis use: consuming while pregnant. Louisiana Gearing up for Marijuana Business: How Much Might LSU, southern, Companies Profit? How Will It Be Distributed? Growing up on a cotton farm in Missouri in the 1950s, Bill Richardson didn’t know a thing about marijuana. Nobody talked about it, he never saw it and he certainly never smoked it. “I didn’t inhale,” Richardson, LSU’s 71-year-old vice president for agriculture and dean of the College of Agriculture, said with a smile in a recent interview. Richardson has become the unlikely leader of an effort to get LSU into the pot business. Cannabis researchers in the United States are forced to conduct their studies using weed grown by the federal government. And many of them have said that Uncle Sam isn’t giving them what they need. If a scientist in the U.S. wants to do an official study of cannabis the only way to legally get the weed they need is to get it from the federal government’s supply. Since 1968 the U.S. government has contracted with the University of Mississippi to grow for cannabis researchers.